Profiling The Unexplained - Unexplained Mysteries & Paranormal Phenomenon - Did Extraterrestrials Visit Earth Long Ago? Home | UFOs and Aliens | Did Extraterrestrials Visit Earth Long Ago? Were humans genetically engineered? Were the biblical angels what we now refer to as aliens? There are some who believe that extraterrestrials have visited our planet long, long ago. Some believe that Earth is currently being visited by alien beings. Then there are those who go one step further and suggest that the origins of humankind lie in the hidden agenda of those extraterrestrials. claims have been made that aliens seeded our planet and played a key role in the development of religion and government. Whether you believe in such claims or not it certainly makes interesting reading as well as providing food for thought. this article we will take a look at one of the major proponents of the ancient astronaut theory. Zecharia Sitchin is a scholar and author with extensive knowledge of ancient Hebrew, Sumerian and other languages. Sitchin proposed the ancient astronaut theory in his first book, The 12th Planet, as well as in subsequent books that have come to be known as The Earth Chronicles. Sitchin bases much of his proposed theory on the interpretation of ancient Sumerian texts and biblical passages that may seem to support his ideas. According to Sitchin's interpretation another planet in the far reaches of our solar system referred to as Nibiru collided with a planet known as Tiamat. One half of Tiamat became what we now refer to as the asteroid belt whereas the remaining half formed Earth. Planet Nibiru supposedly travels a long elliptical orbit that brings it into the inner solar system every 3,600 years. Zecharia Sitchin goes on to explain that an alien race from the planet Nibiru called the Annunaki came to earth to mine raw materials particularly gold. The work was long and tedious which led them to genetically engineer laborers. Such intriguing information leads to more questions than it does answers. Were humans genetically engineered? Were the biblical angels what we now refer to as aliens? Are the mythological tales of gods and goddesses actually a history of encounters with extraterrestrials? Were the biblical miracles actually advanced forms of technology? Will 2012 be the year that Nibiru makes its next 3,600 year orbit bringing it into our inner solar system once more? Although he does have some supporters Zecharia Sitchin has been ridiculed by others in scientific circles. His interpretation of Sumerian texts has been called misleading and his theories have been referred to as flawed. I have read all of Mr. Sitchin's books and have found them to be intriguing to say the least. Although there is no sound scientific evidence to prove his theories there are many artifacts, cave drawings and monuments that remain puzzling to this day. The Giza pyramids, the Nazca lines and Stonehenge to name just a few remain testaments to a mysterious past. There are artifacts and cave drawings from around the world that seem to depict humanoid beings wearing what appears to be spacesuits. 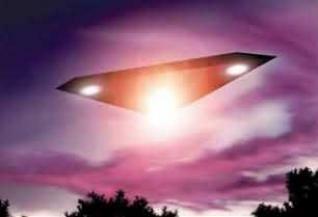 Other artifacts and crude drawings depict what seem to be flying discs or other aircraft. Even certain biblical passages could be interpreted in like manner. Ezekiel described a flying object that had an appearance of a wheel within a wheel. Enoch was taken up to the heavens by a whirlwind. There is also mention of encounters with angels in the Bible. Jacob wrestles with an angel. Angels appeared to Abraham, Sarah and others throughout the Bible. Angels destroyed the corrupt cities of Sodom and Gomorrah. Were these angels what we would now call aliens? We may never know the answers to such controversial questions. Then again, perhaps someday we will find that there is more to our origins, our planet and our solar system than we ever imagined. No matter what our beliefs may be it doesn't hurt to keep an open mind since there may be a grain of truth in even the most bizarre or controversial theory.